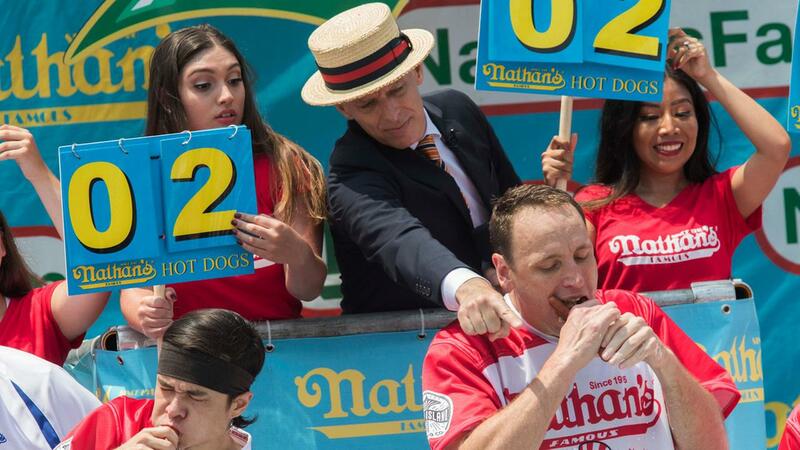 Joey Chestnut is undeniably the GOAT of hot dog eating contests because he just broke his own freakin’ world record!!! Chestnut scored another victory at the Nathan’s Hot Dog Eating Contest in Coney Island Wednesday afternoon after shoving 74 wieners down his mouth, a new world record. Chestnut’s previous record was 72. Chestnut recently told us how he prepares for competition and looks like his method paid off because he out did his competition by almost 30 hot dogs. Carmen Cincotti came insecond place with 45 dogs.